Experience a "Scenic Mountain Pool" on your log cabin vacation to the Great Smoky Mountains! 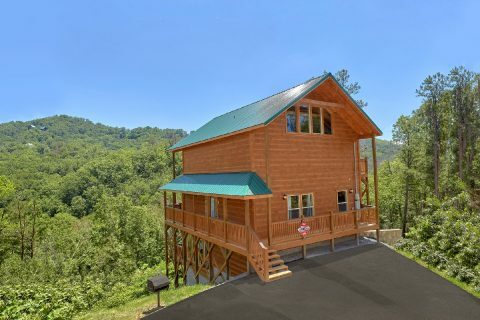 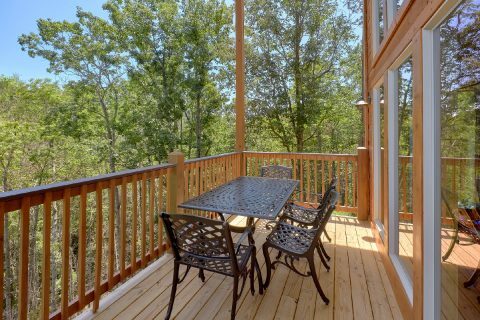 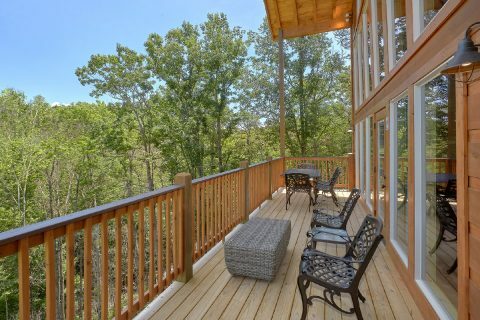 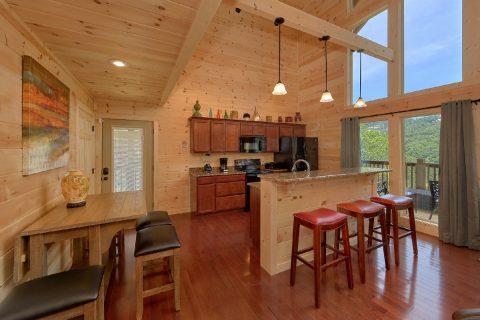 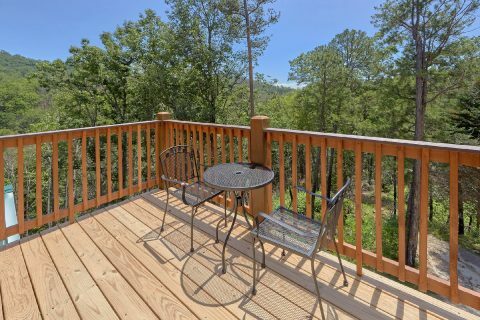 This luxury log cabin is nestled in the mountains above Dollywood and is only a few minutes drive from this popular attraction. 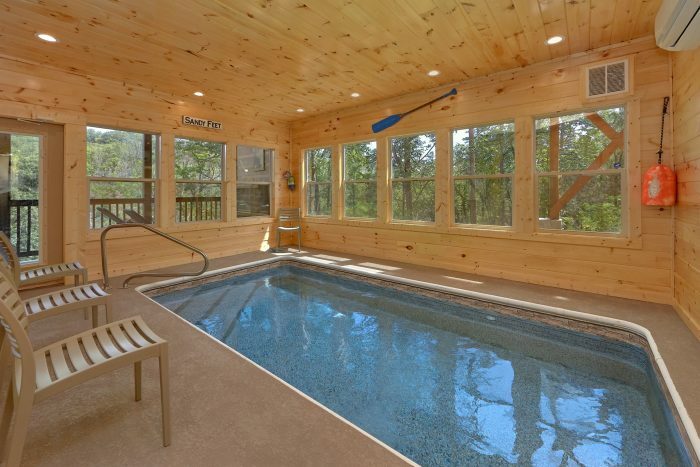 Enjoy a luxury stay with features like a private indoor swimming pool! 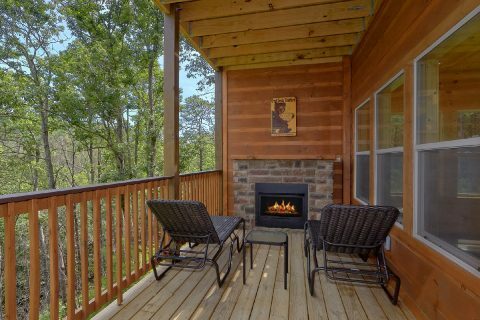 When you aren't busy taking in their cabin's beautiful views or relaxing in the cabin's hot tub, you can find tons of great sights and attractions to explore only a short distance from your cabin in the mountains. 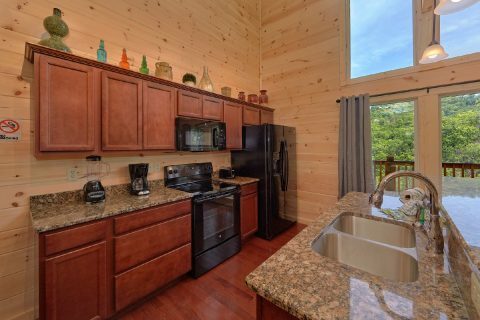 Dollywood and Dollywood Splash Country are easy to access from your cabin's convenient location. 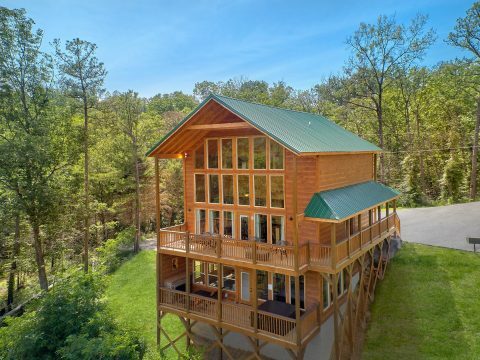 The nearby Pigeon Forge Parkway is less than 5 miles away where you'll find dozens of attractions, shops, and restaurants. 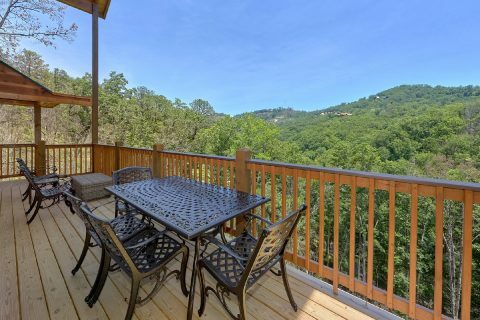 Scenic Downtown Gatlinburg is also only a short trip away and it serves as the gateway to the wonders of the Great Smoky Mountains National Park. 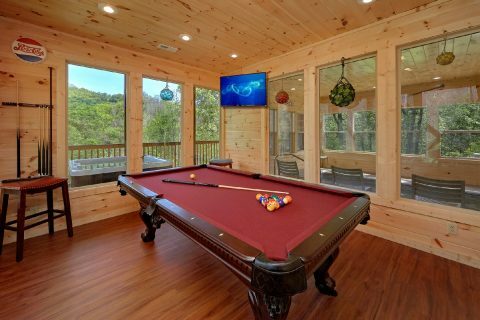 Step downstairs to your rental's game room from some fun and games or swim in the waters of your private indoor pool! 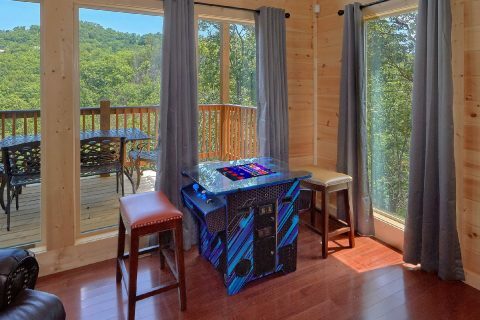 This game area features an 8-ft pool table and an arcade game, so you're bound to enjoy hours of entertainment in this luxury cabin. 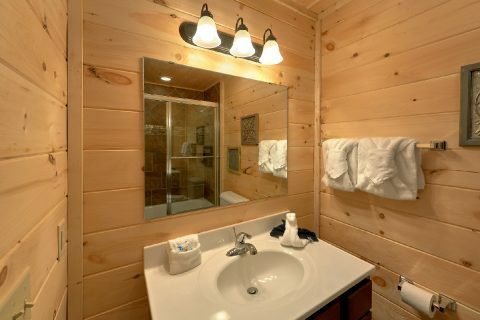 After you enjoy a quick swim, you can relax on your cabin's lower deck with a hot tub and a warm outdoor fireplace. 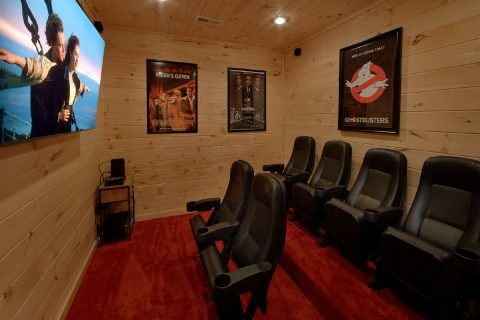 Additionally, this cabin even provides a theater room on the lower level, so you can enjoy a laid-back movie night. 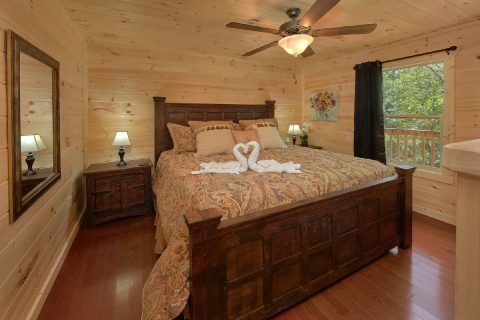 Once it's time to get some rest, guests can look forward to sleeping in two king-size bedrooms. 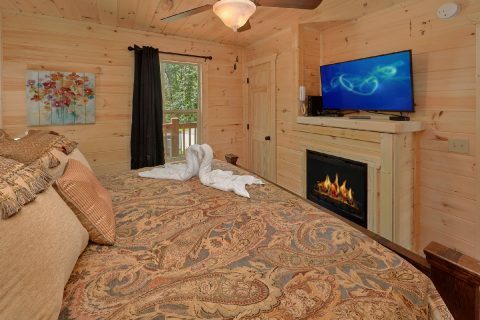 The main level bedroom features a king bed, a television, and an in-room electric fireplace. 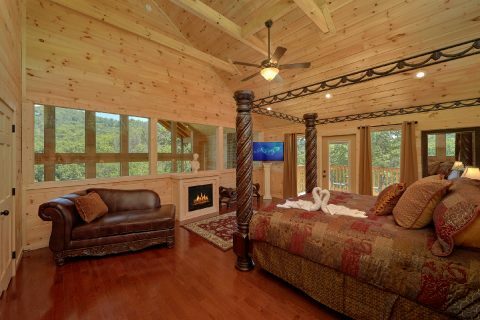 The upper-level bedroom is located in the upstairs loft and it boasts a lovely mountain view. 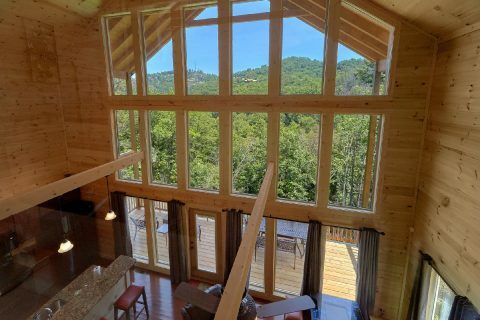 Not only does this room come with an electric fireplace, a television, and a private deck, but it's also enclosed in glass for privacy. 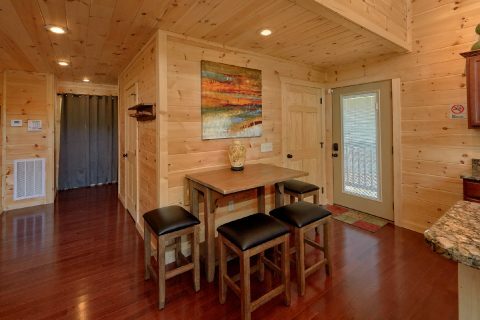 With an added sleeper sofa in the living area, this cabin can sleep up to 6 guests comfortably. 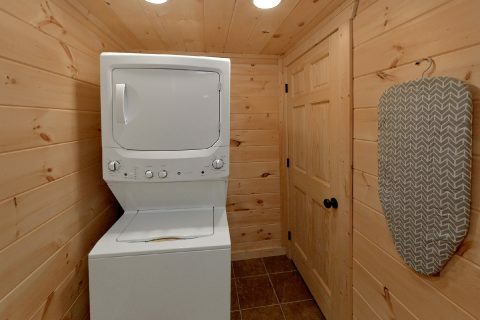 Lastly, this cabin comes with practical features like a laundry room and parking space for two vehicles. 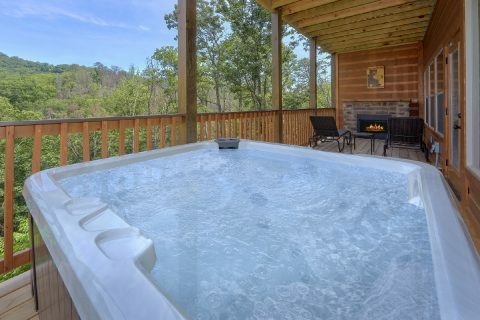 Book "Scenic Mountain Pool" today with Cabins USA Gatlinburg to earn a special discount on your stay! 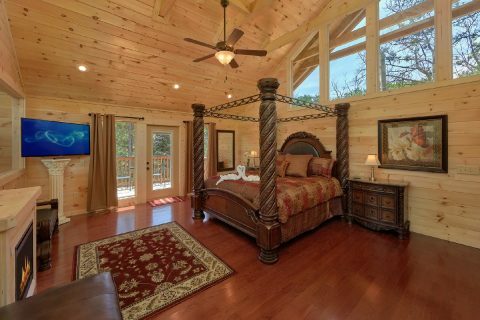 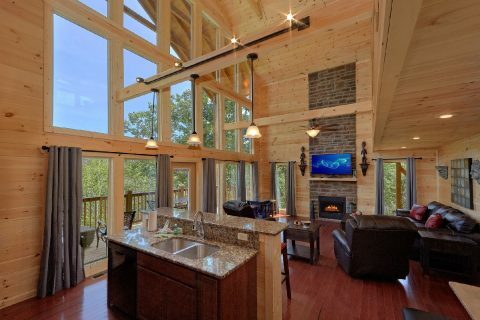 You can enjoy true Smoky Mountain luxury for an incredible price when you book this premium log cabin with an indoor swimming pool!